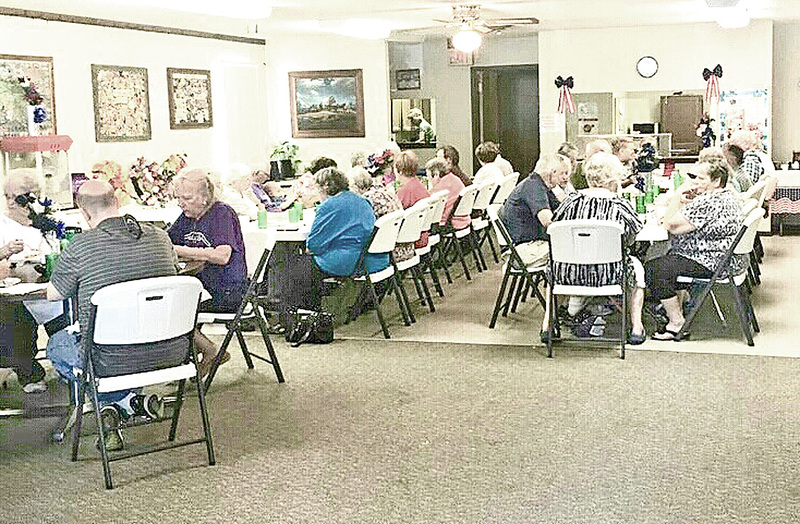 The grand reopening of the meal program was held Wednesday, June 6, with 39 in attendance for the meal. Angie Logan, director of Mid-America Nutrition Center in Ottawa, was on hand to help serve the meals. The reopening included cake, ice cream and prize drawings to celebrate the return of the meal program. The site manager position is vacant and applications are being accepted for the position, Poe, Quaney, Shaffer and Young serve on the site council. Poe will also be coordinating activities for those attending. The meals are served at noon Monday through Friday. It is available for residents of Burlingame and the surrounding areas who are either 60 years of age or older or disabled. The meals that are delivered to homes will continue to be delivered out of Osage City.